View the beautiful Tulbagh Valley first hand! Walk past waterfalls and through blossoming orchards, indigenous fynbos, and picturesque mountains. Enjoy a historic wine tour and taste delicious wines. Experience country hospitality at every destination. 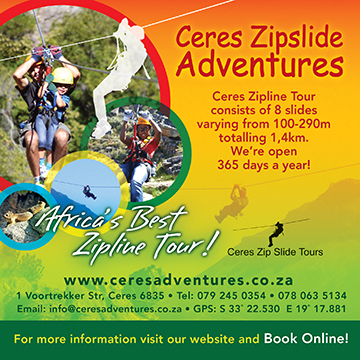 Accommodation, meals, a t-shirt, bag and water are included in the registration fee of R1750. Participants need to commit to a further fundraising minimum of R2 000. For the benefit of Huis Disa, home for the elderly in Tulbagh. More information will follow, but save the date for this wonderful trail!